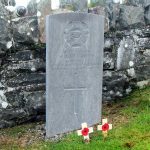 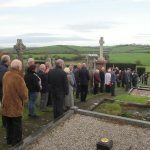 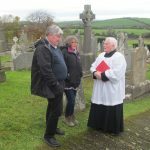 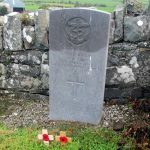 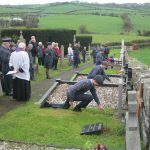 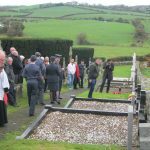 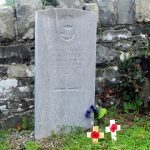 It was a pleasant fresh autumnal morning on Saturday 10th November when Fr Alexander officiated at his first Remembrance Service at the War Graves in St Joseph’s Graveyard, Ballycranbeg. 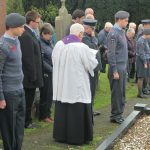 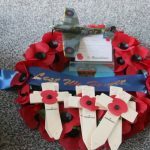 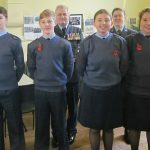 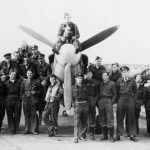 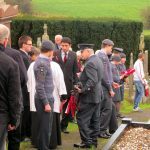 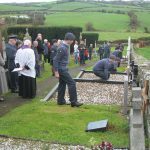 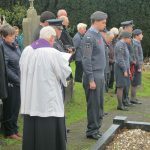 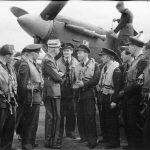 Parishioners were once again joined by visitors and the RAF Air Cadets and Officers from Regent House School in Newtownards who were there to lay poppy crosses and a wreath on the six war graves of RAF Flt Sgt Willis, RCAF Plt Off McManus, RNZN Lt McGarry and three pilots from 315 Polish Squadron, Sgt Kolek, Flt Sgt Grondowski and Plt Off Tuczemski. 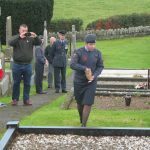 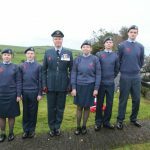 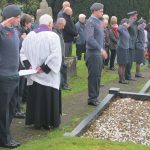 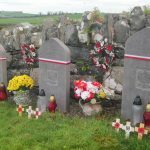 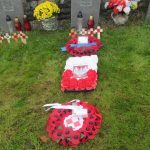 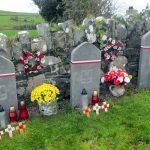 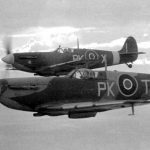 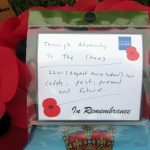 This year’s service was all the more poignant as it coincided with the Centenary of the 1918 Armistice, on November 11th, which brought an end to World War 1 and also the Centenary of the Polish Independence Day on the same date. 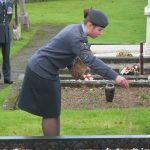 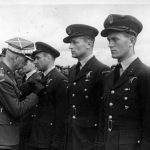 Before the ceremony began, one of the air cadets sprinkled soil from the Polish Air Force University in Deblin on the graves of the Polish Airmen. 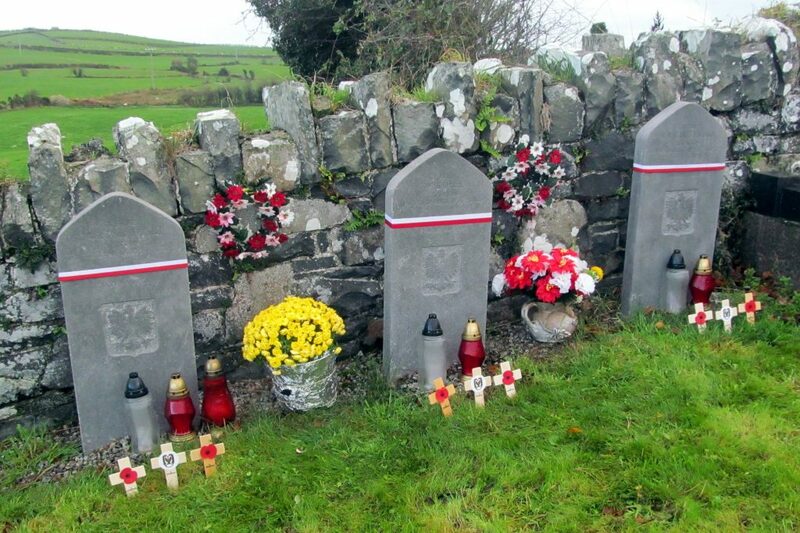 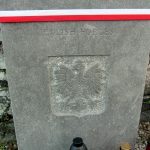 This was arranged by the ‘For Your Freedom and Ours’ Polish Community Group. 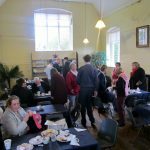 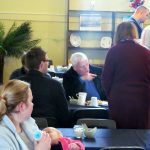 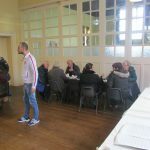 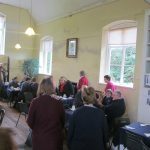 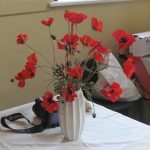 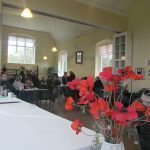 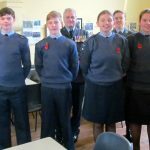 Once again, following the ceremony, everyone returned to the Old Schoolhouse for a very welcome hot cup of tea or coffee and refreshments provided by the Parish Social Committee.